A new “Unico Metropolitano,” pass will allow residents in the outlying Florence areas to pay for a 50 euro all-in-one ticket that grants them monthly access to all of Florence’s public transportation beginning June 1, 2019. 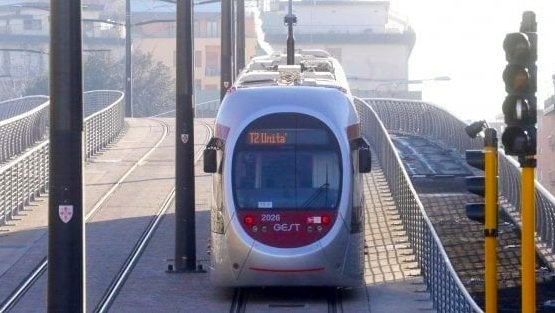 The deal is exclusive to the municipalities of Calenzano, Campi Bisenzio, Fiesole, Lastra a Signa, Sesto Fiorentino and Signa and comprises the tram, trains and buses. This convenient approach to transportation for locals was approved by Council of the Metropolitan City of Florence and will save commuters money by removing the hassle of having to buy two separate monthly passes—one for the buses with Ataf or Linea and one for the trains with Trenitalia. The ticket provides transportation with both the Ataf and Linea companies as well as the T1 and T2 tram lines. The train stops included with the ticket are at the following stations: Florence Santa Maria Novella, Florence Rovezzano, Florence Campo di Marte, Florence Statuto, Florence Rifredi, Florence Castello, Florence Le Piagge, Florence San Marco Vecchio, Florence Le Cure, Florence Porta al Prato, Calenzano, Pratignone, S. Donnino, Compiobbi, Caldine, Pian del Mugnone, Lastra a Signa, Il Neto, Sesto Fiorentino, Zambra and Signa.